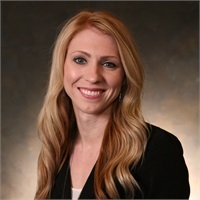 Tanya has been with Mersberger Financial Group since April 2016, coming to the firm with over 9 years of experience in the financial industry as a client services representative. Tanya assists the financial advisors by greeting clients and handling incoming phone calls, updating client records and managing client appointments. She also organizes daily work flow for clients and works with the MFG team to ensure deadlines and client needs are met. Tanya lives in Sheboygan Falls with her family. She is passionate about spending time with her loved ones and also enjoys dirt track racing, motorcycle rides, and walks.